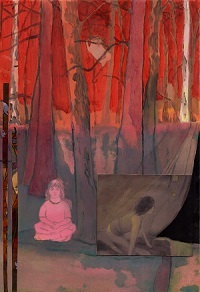 Lærke Lauta from Copenhagen, Denmark, works within multichannel video, installation, and painting. Her two newly created videos, Pressure Drop and Triad, build on internal tension and unresolved conflict, with women as primary figures. Her stories ha ve surreal and abstract elements enthused by architecture and environments that support the suspense. Many of her video ideas begin with painted studies, which will also be on display. Lauta as filmmaker channels us with precise direction to open- ended conclusions leaving us transfixed. Artist Mary Babcock investigates fiber processes that conceptually merge with the intersection of art, contemplation, and social activism. Breaking Ground is inspired by the Buddhist concept of groundlessness and a 2014 visit she made to the Pacific Northwest in the bleak of winter. In this work she transforms the memory of a natural world of frozen river beds with fractured life forms moving underneath, into idea. The grounding point for her work is the activity metaphorically inherent in fiber processes such as stitching, mending, binding, weaving, and piecing. 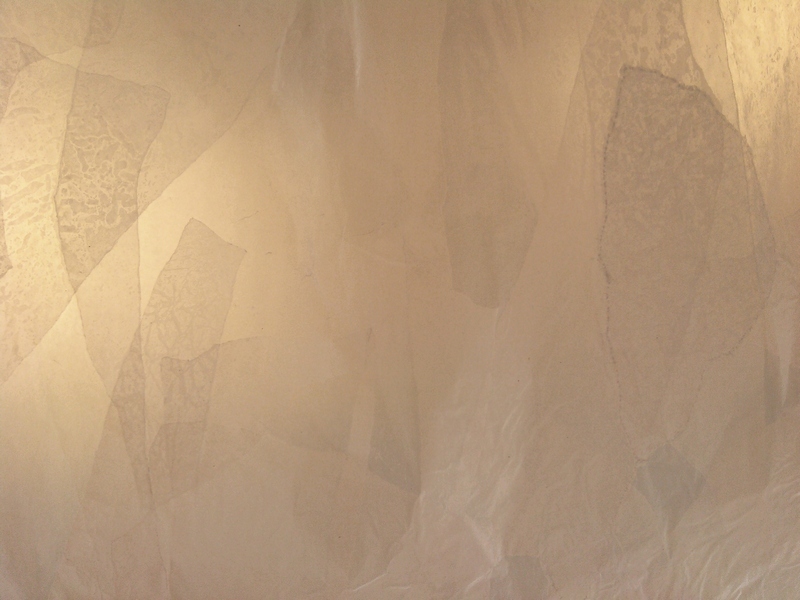 Babcock is creating a large scale interior installation in the Schaefer International Gallery with hand-sewn layers of wax paper. Sept 19, 2015; 10 am – 12 pm; FREE! Families are invited to the Schaefer International Gallery to see the exhibit and make a small piece of art to take home.